Santorini 107A is an Impeccably presented ground floor penthouse situated in a very well-maintained complex with 3 bedrooms and 2 bathrooms sleeping a total of 7 guests. 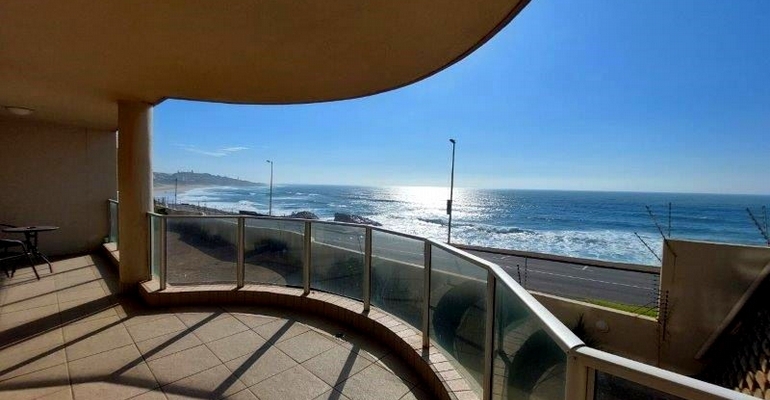 The apartment consists of a spacious open plan lounge, modern kitchen with granite tops, patio with stunning view of the ocean, aircon, 1 lockup garage, 1 undercover parking, 1 secure open parking in front of the unit, and a swimming pool in the complex with charcoal braai facilities. Places to visit and things to do in and around Margate includes Oribi Gorge, Snake Park, Scuba Diving, deep sea fishing, Mac Bananas, Wildcoast Casino, Croc World, Beaver Creek Coffee Farm, Shelly Shopping Centre, craft shops and much more. Restaurants, cinemas, pubs, night clubs, game arcades and much more within walking distance of the apartment. Several other blue flag beaches are just a short drive away.